Part of surviving in the modern world is picking up on clues. For example, when we learned of a local Seattle band named Roaming Herds of Buffalo, it seemed reasonable to assume that they wouldn't take themselves too seriously and would have a sense of humor. OK, maybe that isn't rocket science in your corner of the world, but we take our victories as they come. 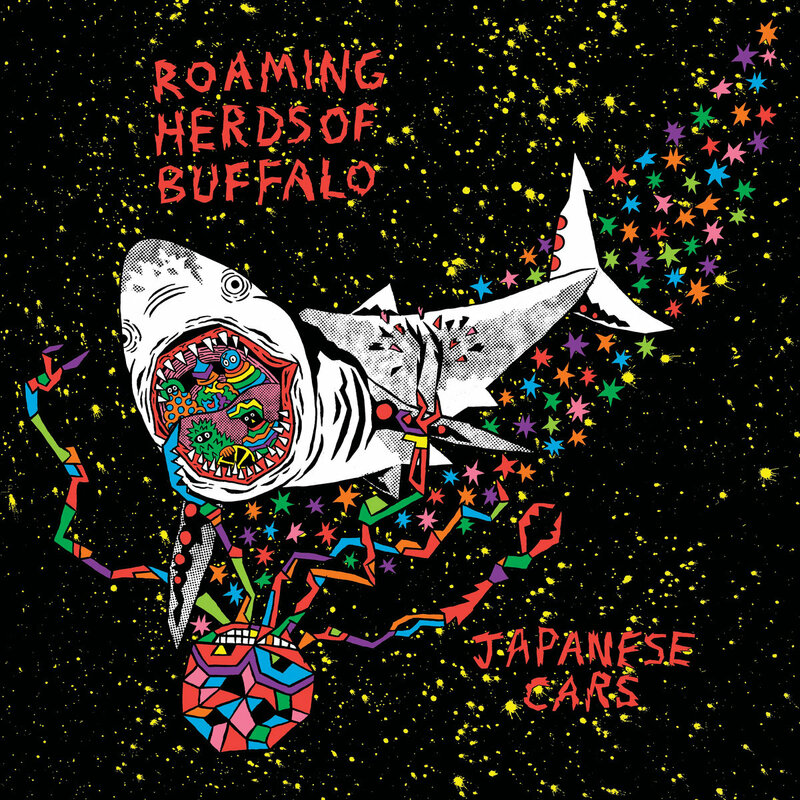 Anyway, we loved the band's 2015 release Apocalypse Beach, so we were interested in hearing their new digital EP, Japanese Cars. I must say, we weren't disappointed. The EP begins with a lament about impermanence, noting that nothing lasts these days except Japanese cars. In "Racetrack" our protagonist is confessing spending all the couple's money at the racetrack 'just trying to make ends meet'. The proceedings slow down for an acceptance of "Fake Honey". Next we get a dose of weirdo pop with pounding percussion, ball park organ and talk-sing of "Love Potion". My favorite is the closer, "Morning Light", a romping, stomping, jangling blast of indie rock. There you have it -- five songs and a Japanese car full of fun. This is what you need for summer.